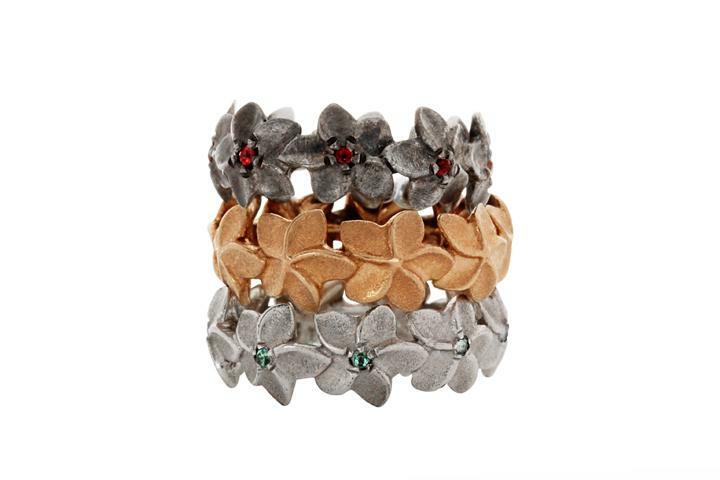 We have created a range of jewellery inspired by the elegant Franjipani Flowers that we enjoy seeing near our studio. 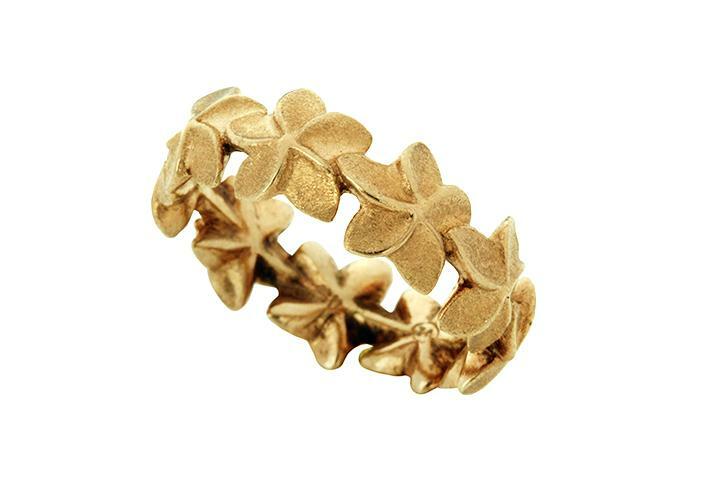 This ring was hand-carved and cast in Solid 9ct Yellow Gold. We have given it a matt finish and polished the small edges of each petal. 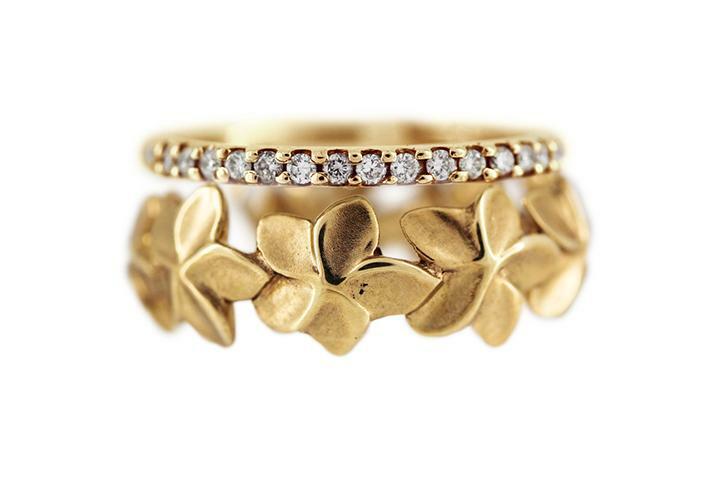 Wear this ring in clebration of nature, or offer as an exquisite gift for a special person. Contact us for information regarding the size of this ring and making sure it's the right fit for you!